Many years ago, devices for telling the time were created by the Egyptians around 1500BC. Known as sundials time was measured by a shadow falling in sections across a marked area. Water clocks were used later with more accuracy. More accurate clocks followed in 1500AD (around 3000 years later) where Italian monks are said to have developed a clock so they knew what time to pray. The watches we know today came into existence during the Tudor reign in the 16th century however the watches were so large that people wore them around their necks. The most famous pocket watch is seen in a portrait of King Henry VIII. Continuing the fashion of watches, Breguet watches began in 1775 with Abraham Louis Breguet setting up his watch-making shop in Paris. 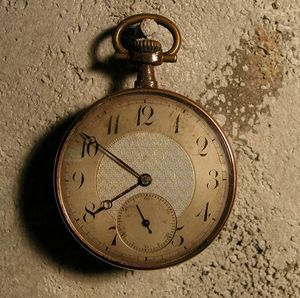 During World War One it was common for men to wear watches on their wrists rather than on a chain around their neck. This simple change made it easier for men to tell the time without moving their hand. Previously men wore pocket watches on chains and women wore wrist watches. In 1904 Louis Cartier, French watchmaker, was asked to design a watch for his aviator friend Alberton Santos-Dumont. 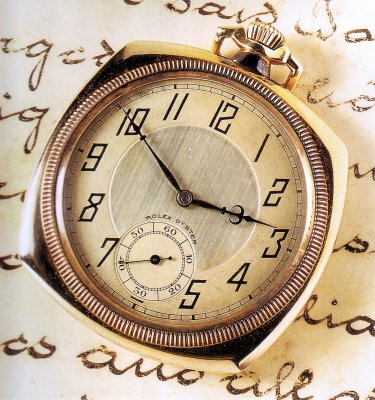 Cartier created the watch and named it “Santos”. The Omega Speedmaster watch was used by NASA astronauts on their mission to the Moon. Both American and Russian astronauts wore Omega Speedmaster watches in 1975 for the first craft meeting of Apollo-Soyuz. In the movies Daniel Craig as James Bond wears an Omega watch, Sean Connery as James Bond wears a Rolex Submariner. In the Bourne Ultimatum, Matt Damon wears a TAG Heuer watch. Breitling watches are very popular with celebrities, actors and world famous successful entrepreneurs including Sir Richard Branson and Sir Alan Sugar. Of all the colours available for watches most people will own or be given a black watch during their lifetime. The unisex colour is a favourite with mens watches and ladies watches alike. Finally, in most watches catalogues and in-store displays you’ll find the time is displayed as ten minutes past ten o’clock or sometimes ten minutes to two o’clock. The popular meaning for this is that it’s “Happy Time” or that the clock is smiling which becomes an emotional marketing tool to encouraging you to feel good when you’re looking to buy that particular watch or clock.